Apply cleanser or skin care product on face. Choose Mode of choice and adjust vibration level. Massage in small circulation motions or in smooth stroking motions as shown. 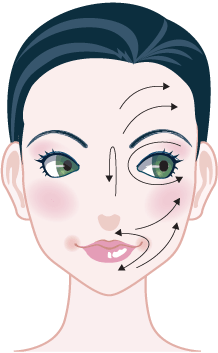 Massage in small circular motions across your face. Massage with long smooth strokes across your face. For Eye-Zone Mode, apply eye cream around eye area. Select 'E' Mode and adjust vibration level. 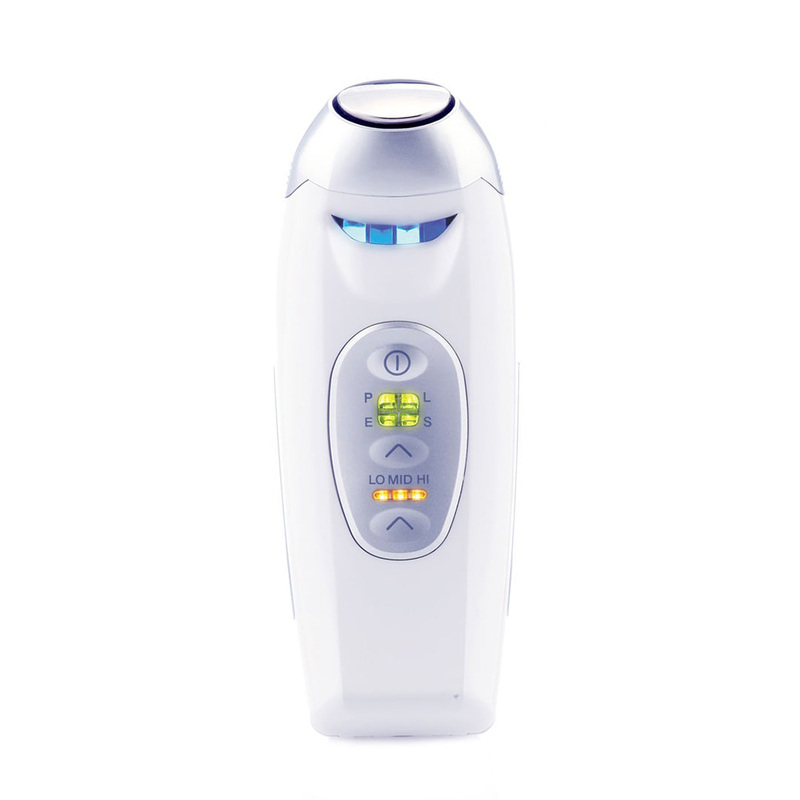 For sensitive skin users, do not use vibration. Pause Touch at each spot for 2-3 seconds or massage upwards as shown. Place and pause at each spot for 2-3 beeping sounds. Massage in short gentle strokes around the eye, pausing at each arrow for 2-3 beeping sounds. For list of complementary products to go with DR's Secret Touch, click here.